A big thank you to everyone who made the recent windup and trophy presentation night so successful. From setting up, to decorating, providing a wonderful meal, and providing sensational music, the feed back received was fantastic. A big thank you to the wonderful people who canvassed around or donated so many wonderful raffles for our members to enjoy. And a big thank you to the girls behind the bar who looked after everyone so well. Here’s to an even bigger season for the club next year. Now that the pennant season has finished, we should have pulled the weeds, patted the dog, and cleaned out the bowls bag. 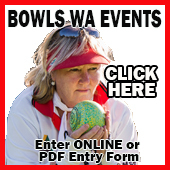 Why – because WINTER BOWLS IS HERE JOHN SNOW. SO – Jackpot pairs starts this Friday 26th April 12.30 for 1.00 pm. Get yourself a partner (any gender) and names in by 1200 noon. We will see you at the Club on Friday for an exciting game of bowls, good fun and fellowship. Q. 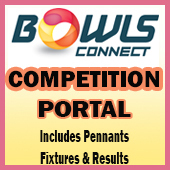 Are you interested in playing Pennants commencing early October? A. If “Yes”, please place your name on the Mens’ Thursday and/or Saturday lists on the Pennants noticeboard.